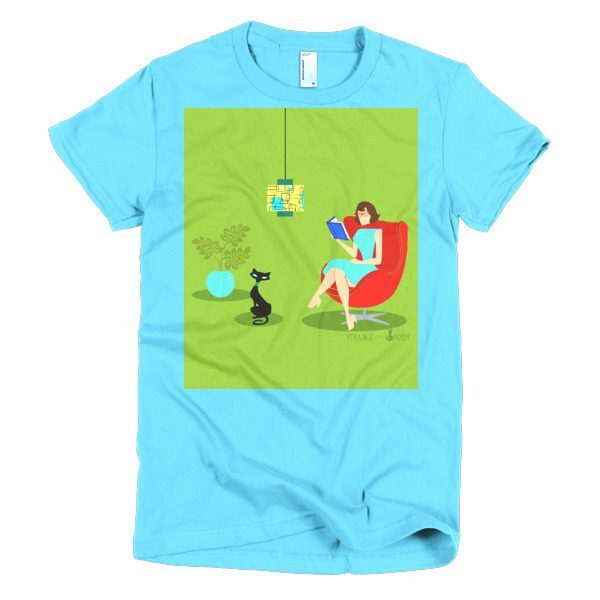 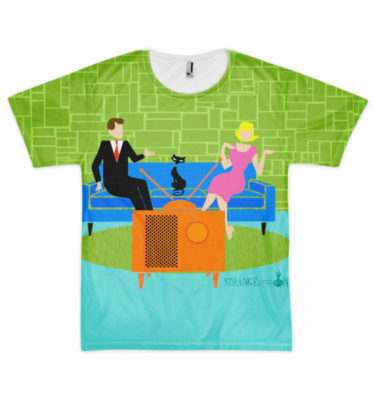 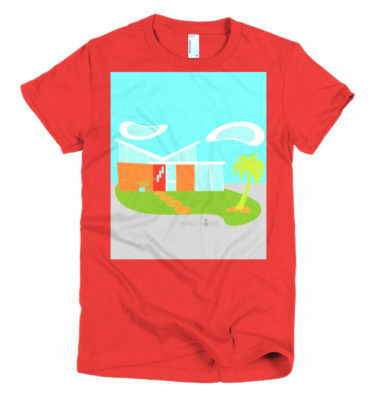 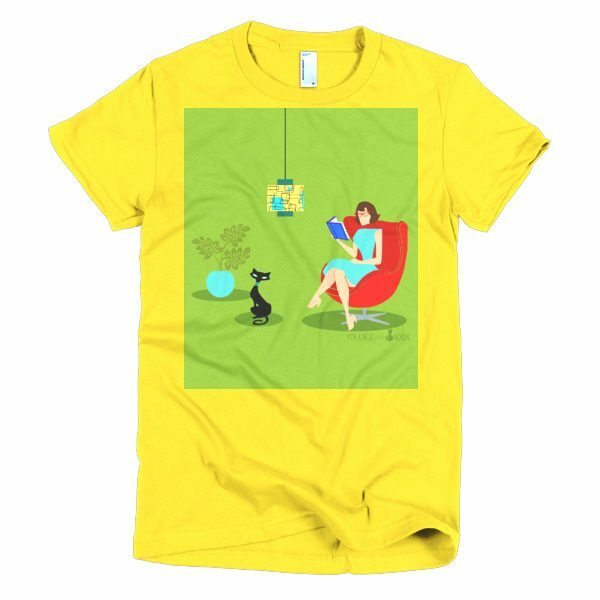 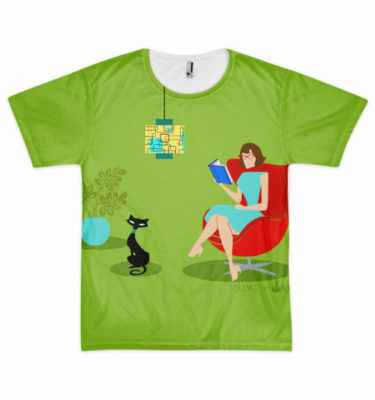 This Retro Reading Woman Short Sleeve Women’s T-Shirt features a 1960’s style, minimalist art, cartoon drawing of a woman who has her priorities in order. This delightful bookworm is entranced in a real page-turner. The shapely brunette is wearing an aqua dress and red glasses, while holding a blue book. She is seated in a comfy, red egg chair. 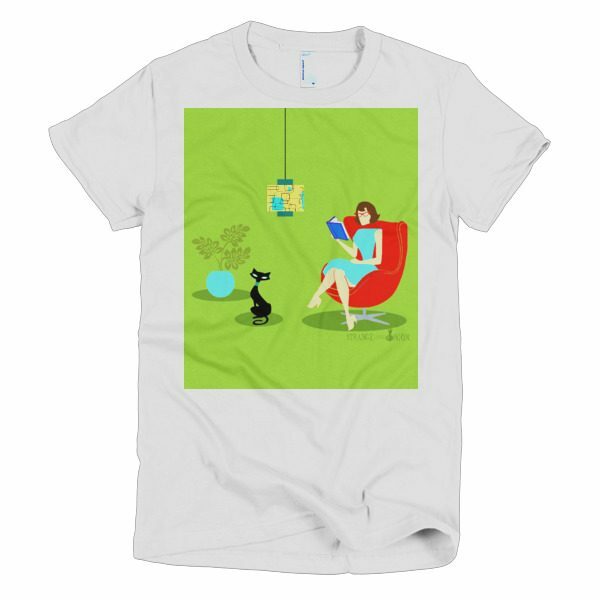 In front of her, a sleek, black cat in a teal collar is enjoying the peace and quiet that comes from living with a bibliophile. 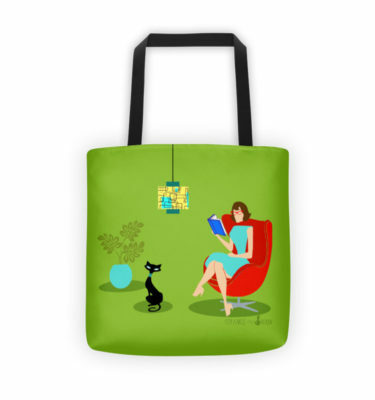 Both woman and cat are in a stylish green room. 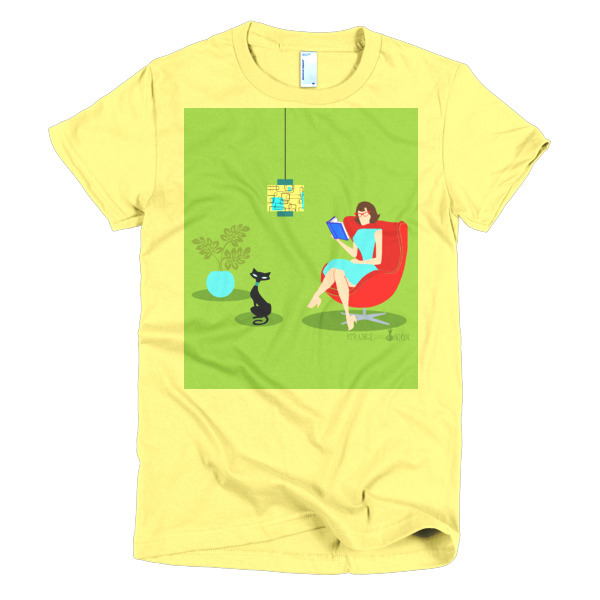 Overhead, there is a kitschy pendant lamp in shades of yellow and turquoise. 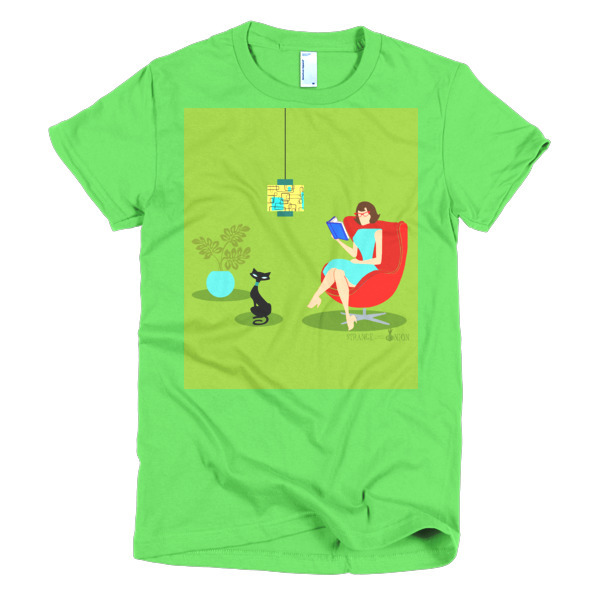 To the side, there is a lush, tropical, potted plant in an aqua flower pot. Kitty, if you need something, you’ll have to wait until she finishes this chapter!